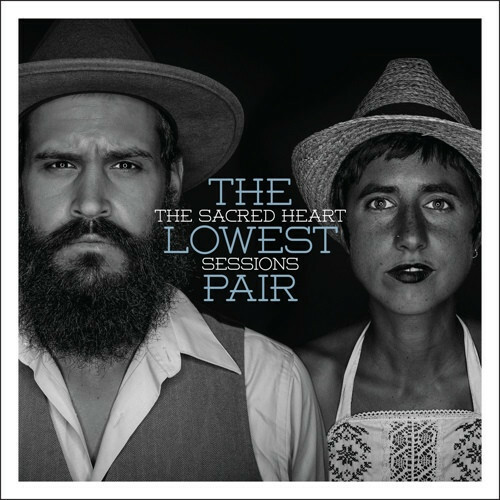 Olympia, Washington bluegrass duo The Lowest Pair will release their sophomore album, The Sacred Heart Sessions, on 24 February 2015. The Sacred Heart Sessions — the band’s follow up to this year’s debut, 36¢ — was recorded in an aging Duluth, Minnesota church after a year on the road. The dual banjos and harmonies of Kendl Winter and Palmer T. Lee reverberate on the album’s first single, “Rosie,” a yearning, two-sided tale of lost love led by Winter’s quavering voice. Stream “Rosie” below and pre-order The Sacred Heart Sessions on CD, vinyl and in digital format via Team Love Records.